The pause is a part of the music creation. It is a part of the whole. It is the sound of the silence. When we listen to a musical piece, the ones that we miss relative education, we think that it comes only from the notes and their numerous combinations. But, if we pay attention or we look at the partition, we realize that one of the main musical symbols is the “pause”. Pauses are silences, and they are a significant part of a complete composition. A small pause creates breath, punctuation, articulation, restarting, preparation for something new. A longer pause may increase the intensity of the moment, can lead to or bring something unexpected. The pauses are necessary in the music language as they are in spoken languages. They give purpose and colour. Without pauses would not be music. Pauses are main part of all music forms. At the opera, at one duett, terzett, quartett, quintett, sextett, spetett, octett, some voices remain silent and start again, in order to create a dialogue and thus, the evolution in the musical piece and the musical drama. At the symphonic music, team/s of instruments clam up, so as to highlight colors or melody/ies of other team/s of instruments, for the ultimate listening, which gives the meaning and the purpose of the piece. At the concert, the orchestra keeps silent or accompanies simply the soloist or keeps the conversation with the solo instrument or the solo instrument keeps silent and the orchestra plays, which then, again quiets till the cadenza – a long and difficult solo passage in a piece for soloist and orchestra. Nothing actually stops – pauses in time, as does not in the music, as does not in life. Pauses are essential ingredient of music as of life, too. Elias Voudouris was born in Athens. He has studied piano, harmony, counterpoint and musical analysis at the “Greek Conservatorium” of Athens. 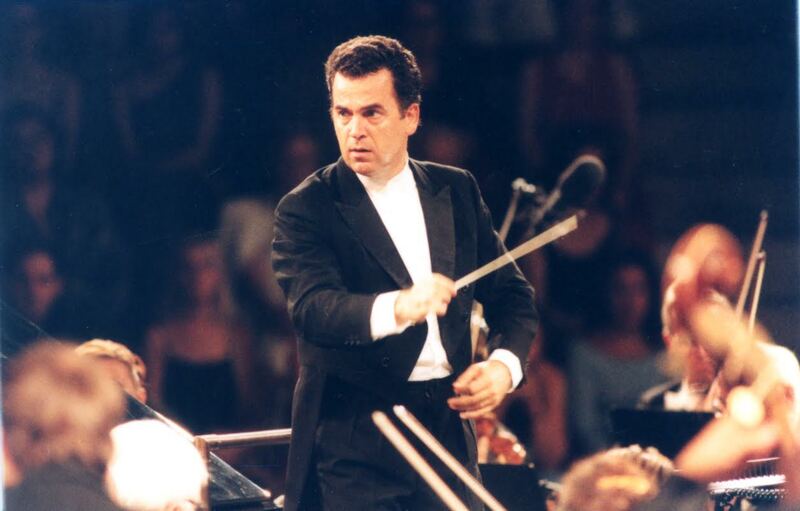 During the period from 1978 until 1983 he followed studies on conducting at the Hochschule der Kunste - Berlin (under Professor Hans - Martin Rabenstein) and received his diploma as an orchestra conductor in 1983. During his studies he has conducted as assistant conductor the Orchestra of the Music Academy of Berlin. He had also followed the summer seminars on conducting at the “Mozarteum Academy” in Salzburg - Austria (under Professor Milan Horvat). the concert hall of Athens “Megaron”. He has conducted more than 200 symphonic works and Oratorios of the most important classical, romantic and contemporary composers and over 50 operas of the international repertory, in which many international singers have participated such as Maria Guleghina, Leo Nuzzi, Alain Fondary, Donald Mc Intyre, Greorg Tichy, Alberto Cupido, G. Kalinina, Fr. Ellero d’ Aregna, Tatiana Serjan, Wolfgame Koch etc. and famous Greek Singers such as Kostas Paschalis Dimitri Kavrakos, Dimitra Theodosiou, Alexia Voulgaridou etc. He has been registered on CD conductiug the Israel Philharmonic Orchestra (EMI) and the Athens State Orchestra (LEGEND).